Including Common Cause Education Fund as a beneficiary of your retirement account or IRA is another simple way to ensure the next generation benefits from the voice of it’s citizens. You can designate an percentage of your account, or have the entirety directed to Common Cause Education Fund. If you have any questions about making an IRA or retirement plan gift, or need further details, please don’t hesitate to contact LaShanda Jackson at (202) 736-5744 or by email at LJackson@commoncause.org. 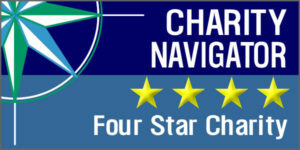 Common Cause Education Fund proudly holds a four-star rating (the highest possible) from Charity Navigator. Common Cause Education Fund is rated a four-star charity by Charity Navigator.